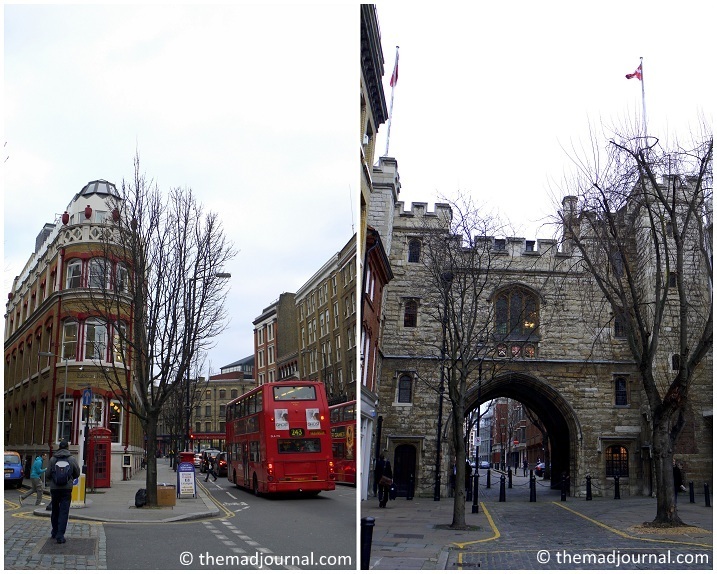 Clerkenwell is the area between Farringdon, Barbican, and Angel. but there used to be lots of watch makers, jewellers, publishers and so on. So I feel the creative atmosphere in that area. There are lots of old buildings...... I found lots of nice scenes. Then, I found a nice cafe in Clerkenwell. Brick walls and black board..... looks like an old school. There are more seats upstairs. Cakes on the counter........ Mmmmmm I can't make my mind!!! But, lunch, before cakes!! I chose the soup of the day. It was vegetable soup and lots of chunky vegetable in it. It was very nice. 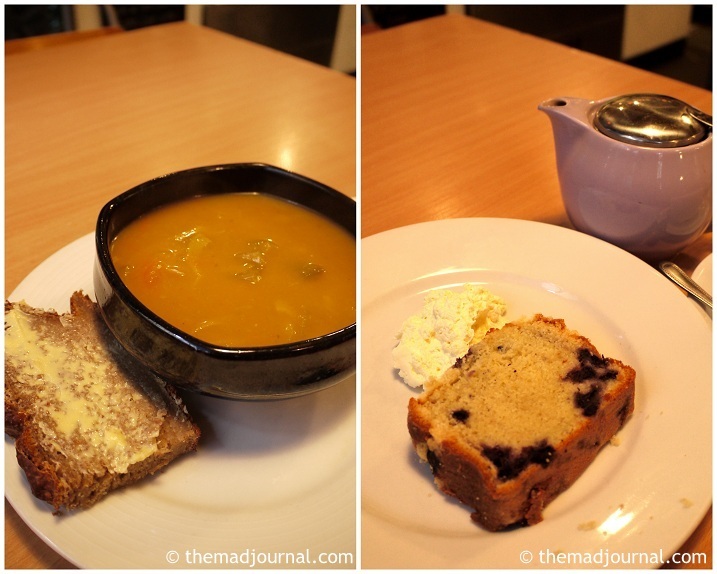 The bread with soup was Irish soda bread. Very moist and good! Apparently the owner of the cafe from Irish, there was a chocolate guinness cake too. but I chose blueberry cake because the soup was big potion. There was a photo exhibition in the cafe. The black and white photo looked good on the brick wall. I see many nice little shops around the area, I will walk around there again!